According to the "Memoir of the Survey of the Travancore and Cochin States", published by the then Madras government, women of menstruating age were denied entry into Sabarimala even two centuries ago. Women of menstrual age are not allowed entry into Sabarimala. Amid the debate and protracted protests over lifting of the ban on women of menstrual age at Sabarimala, a colonial era document compiled by two British military has revealed that the ban was part of a centuries-old tradition. 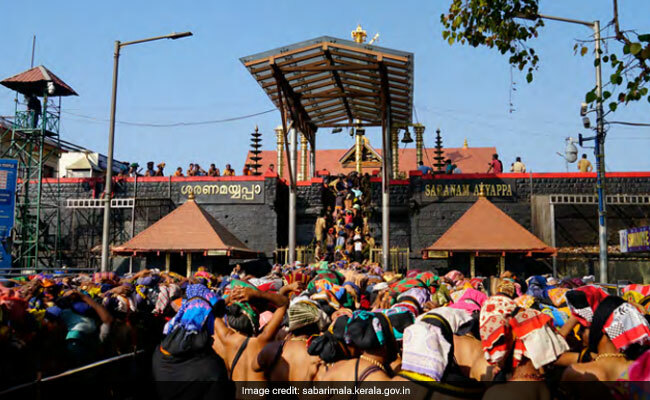 According to the "Memoir of the Survey of the Travancore and Cochin States", published in two volumes by the then Madras government, women of menstruating age were denied entry into the Sabarimala temple even two centuries ago. Though Benjamin Swain Ward and Peter Eyre Conner, lieutenants of the Madras Infantry, completed the survey by the end of the year 1820 after nearly five years of research, it was published in two volumes in 1893 and 1901. "Old women and young girls may approach the temple, but those who have attained the age of puberty and to a certain time of life are forbidden to approach," the report said. Justice Indu Malhotra, the lone woman judge and the only dissenting voice on the 5-judge Constitution Bench that overturned the ban, had referred to the Ward and Conner's survey. Noting that the report is an authentic historical document on the erstwhile princely states of Travancore and Cochin (Kochi), historian MG Sasibhooshan said the ban was an "unwritten law" for a long time. "As mentioned in the report, there were restrictions for women belonging to a particular age group in Sabarimala. It was informal but unwritten law for decades," he told news agency PTI. The restriction, however, got legal ratification and acceptance following a Kerala High Court judgement in 1991, he said. While the survey suggests existence of the ban, rights activists insist there were several instances when women of reproductive age visited the shrine. KA Nair, a career civil servant and adviser to former Prime Minister Manmohan Singh, said his first rice feeding was at Sabarimala with his mother feeding him in her lap in 1939. Kannada actress Jayamala's claim that she had touched the idol of Lord Ayyappa when she was 27.